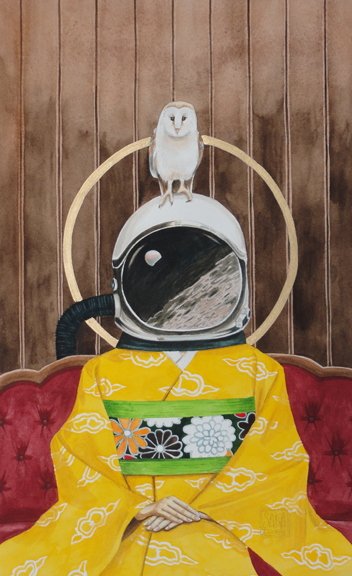 Sara Drescher's "Pop Surrealism" series uses surrealistic settings and mixes in imagery from pop culture. 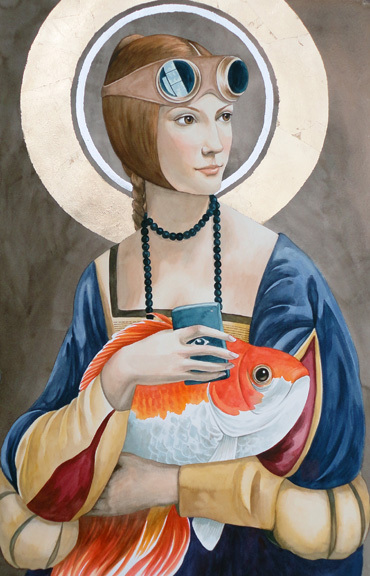 Icons, pop culture, surrealism, technology, and tradition visually converse in this series. Click on image to read more about the piece.